This field is only used for validation purposes and must remain unchanged. SSL certificates use the HTTPS protocol to allow for data encryption between a visitor on your web site and the web server where your site is hosted. This process is essential to secure your data during the transmission of information between the visitor and your WordPress site. Does my WordPress site need an SSL certificate ? If you use WordPress, an SSL certificate is essential to protect the data exchanged via your web site. SSL certificate is essential to connect to your administrative section, to allow visitors to fill out forms or to operate an online business. Since July 2018, Google Chrome (version 68) adds the warning "Not Secure" in the address bar of any web page that is not using an SSL certificate (HTTPS protocol), to warn visitors that their data will be insecurely transmitted. This measure has a negative impact on the trust your visitors have towards your site. Solve this situation right now! Why convert to HTTPS ? SSL certificates allow for the secure transmission of data during information exchange on your web site. It also protects data from being stolen or intercepted. Using the HTTPS protocol provides confidence to your visitors that your site is secure and that you have the integrity of the data being shared with your business at heart. For years now, search engines like Google positively affect the ranking of websites using the HTTPS protocol. This is another reason to consider! 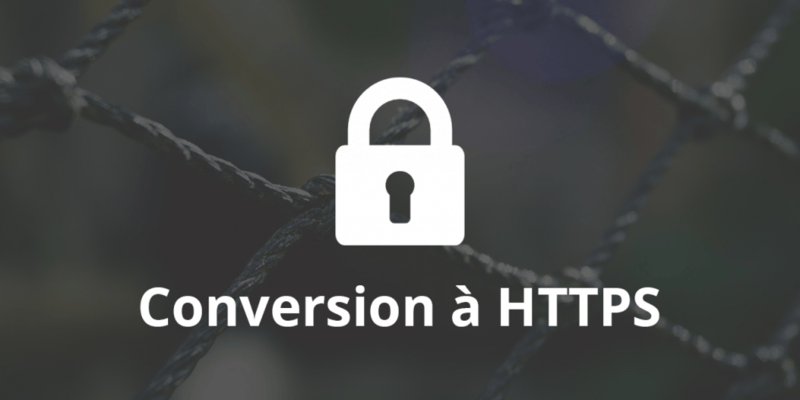 What is HTTPS conversion ? 1) Our team begins by making a backup of your current WordPress site before starting actual work. 2) In order to insure that the site operates at optimal levels, we will then proceed to updating everything (WordPress, themes & plugins). 3) We install the SSL certificate and will configure it to function with your site. 4) Our experts will then modify all the links directed towards different content of your WordPress site to ensure that they all now exclusively use the HTTPS protocole. 5) Finally, our team validates the proper operation of your site with your new SSL certificate. Talk HTTPS with one of our specialists today !